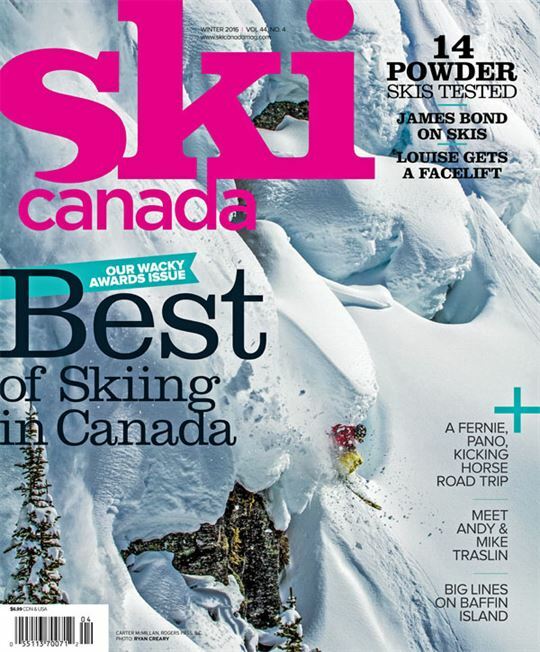 The 2015 season made the search for powder at Fernie, Panorama and Kicking Horse a challenge of surprises. 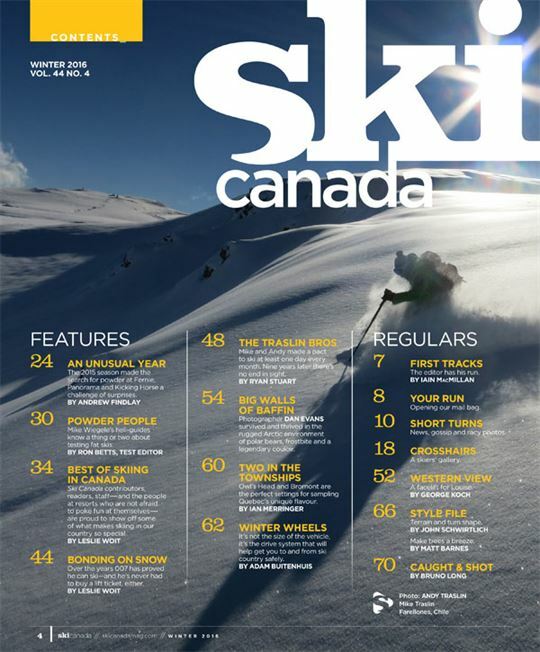 Ski Canada contributors, readers, staff—and the people at resorts who are not afraid to poke fun at themselves—are proud to show off some of what makes skiing in our country so special. Over the years 007 has proved he can ski—and he’s never had to buy a lift ticket, either. Photographer DAN EVANS survived and thrived in the rugged Arctic environment of polar bears, frostbite and a legendary couloir. Owl’s Head and Bromont are the perfect settings for sampling Quebec’s unique flavour. It’s not the size of the vehicle, it’s the drive system that will help get you to and from ski country safely.